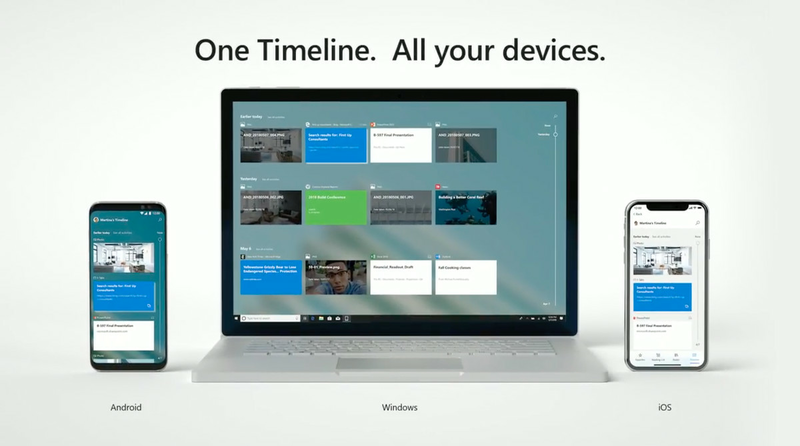 Microsoft first launched its Windows 10 Timeline feature a year ago, allowing users to sync browsing and app history between Windows 10, iOS, and Android devices. Unfortunately, it was limited to Microsoft’s Edge browser on the browsing history side, but now Microsoft has released its own official Chrome extension for Windows Timeline. Dubbed Web Activities, the extension will sync and show your Chrome browsing history across Windows 10 devices so you can use the built-in Timeline viewer. That does mean a copy of your browsing history will be sent to Microsoft’s servers, opening up potential privacy concerns. Google does have its own way to sync browsing history between Chrome sessions, including the ability to view tabs on other devices. Microsoft’s Chrome extension simplifies this by building it directly into the Task View feature of Windows 10 that’s accessible from the taskbar or by using winkey + tab. Microsoft has not yet launched a Firefox version of this particular Timeline extension, although unofficial Chrome and Firefox Timeline extensions have been available for more than six months now. You can download Microsoft’s new Chrome Timeline extension from the Chrome Web Store.